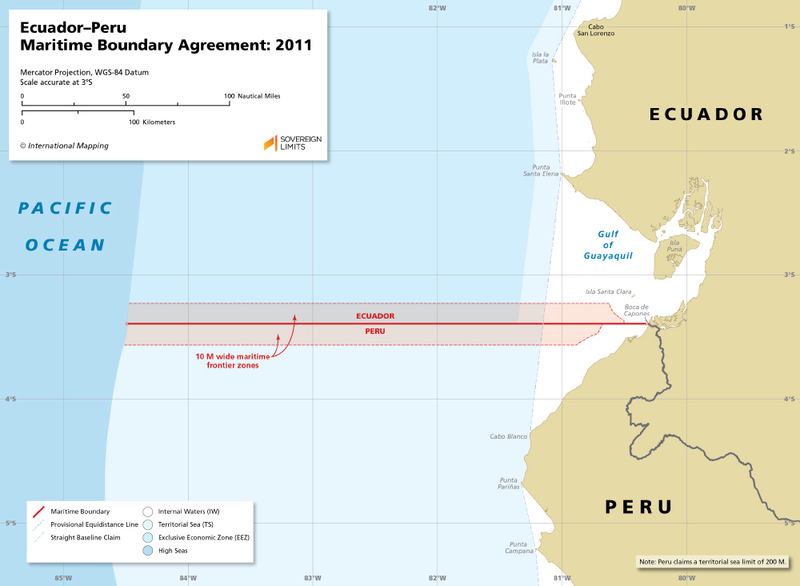 The maritime boundary between Ecuador and Peru was established through a bilateral agreement that was signed on 2 May 2011. This Agreement came in the form of an exchange of notes, which were accompanied by an official map of the boundary. 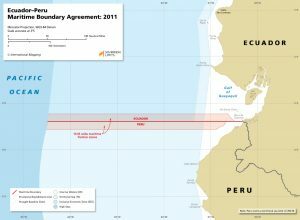 This Agreement settled a long-standing dispute as to whether or not the 1952 Santiago Declaration between Chile, Ecuador, and Peru had in fact established a lateral maritime boundary between the Parties. In the end, they agreed that “special circumstances” existed in the area near the land boundary terminus point (LBT), a likely reference to the presence of islands, which were prominently mentioned in Point IV of the 1952 Declaration.